The roots of Habitat for Humanity of Smith County can be traced to Mr. J. W. Cherry, a resident of Tyler, who had the original vision for a local Habitat affiliate. In 1988, Mr. Cherry spoke with the pastor of University Christian Church, Rev. Ross Richardson, about the possibility of starting a local affiliate. Together they discussed and considered the needs of the community and the fact that there are few affordable, decent homes available to the very low-income of Smith County, particularly in Tyler. Rev. Richardson was immediately enthusiastic and called for a town meeting to be held at First Christian Church. Over thirty interested people from the community attended. An initial steering committee was appointed and six people from a wide variety of denominations and backgrounds volunteered to serve. The committee members included Wesley Slade (chairman), Alma Delley, Gary Geiser, Dottie Pritchett, Margaret Scott and Linda Zeigler. This committee served until 1989 when the first Board of Directors was formed. The Board included Larry and Gwen Coker, Joe Kirkwood and Ray Kendall in addition to the original Steering Committee. In September 1989 Gary Geiser became the second Board Chairman. It was also in September that the group raised the initial seed money necessary to become an affiliate of Habitat for Humanity International. During that same time the first piece of property for the first Habitat home was donated and the money to begin construction was raised. On November 4, 1989 a groundbreaking ceremony for the first home located on the corner of Saunders St. and Earle St. was held. From the first house completed and dedicated on April 20, 1991 until January 1995 Habitat worked with a small, dedicated Board of Directors and a core of loyal and persistent volunteers. They met in local businesses and churches, they raised money through these churches and individuals and spread the word of Habitat to the community. In February 1990 the local Habitat members attended their first Regional conference in Austin, Texas and were welcomed as a new affiliate by Millard Fuller, the founder of Habitat. Two months later the new affiliate began their second home. It was for this home that the first real community support was received. A presentation to the Mid-City Kiwanis Club initiated a great deal of interest, participation and money from local club members and business folks. In June of 1990, Tylerite, Jim Parnell traveled to Mexico to work with Habitat International on the Jimmy Carter Work Camp – Tijuana Project. He returned to Tyler filled with the spirit of the Habitat mission and joined the local Habitat Board. In December of 1991 Jim Parnell was elected to be the third Chairman of the Smith County Board of Directors. 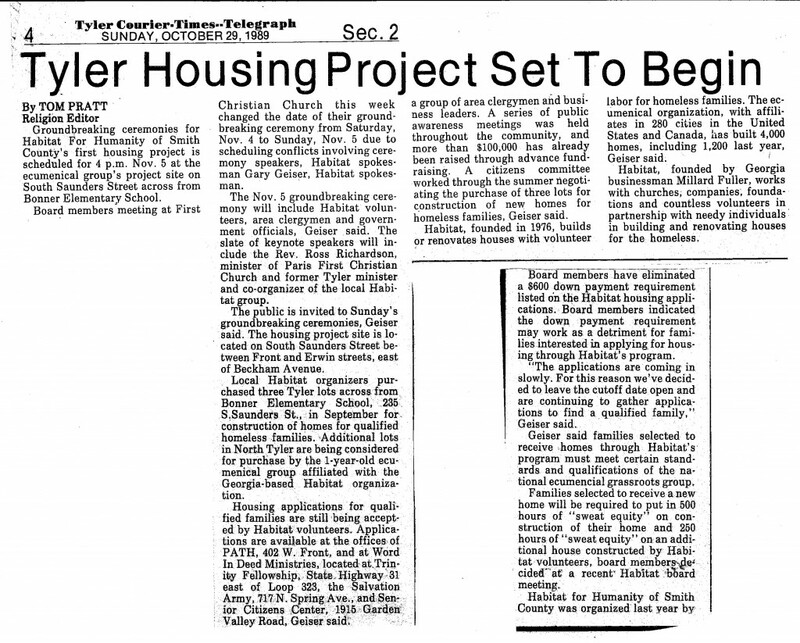 In January of 1991, due to the dedication and hard work of the initial board, local interest in this wonderful idea of eliminating the need for poverty housing in Smith County grew. Several new people from the community joined the Board: Jana Sisk, Tom Pratt, Margie Free, Fred Smith, Rev. Jessie McClendon and Rev. Ron Byrd. In February of 1991 at the Corpus Christi Regional conference, the Smith County affiliate was chosen to host the 1992 Regional conference. Millard Fuller traveled to Tyler and spoke at the conference. A week before the conference, February 14, 1992 the second Habitat home in Smith County was dedicated. 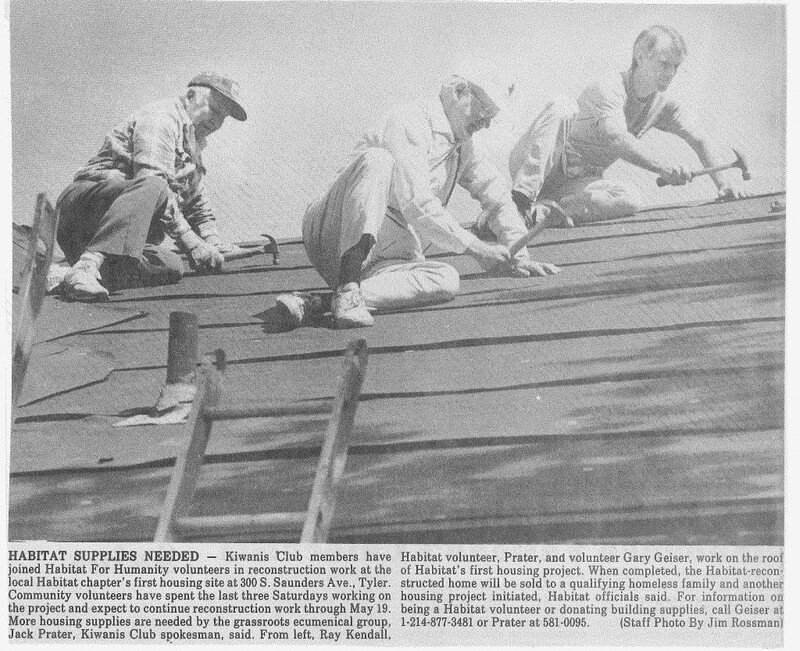 From 1992 through 1995 Habitat for Humanity of Smith County dedicated six more homes working solely with volunteers and no paid staff. In 1993 Habitat acquired a small office space and an answering machine. In 1994, boardmember Jana Sisk made application to the Senior Texas Employment Program for a part-time office assistant. 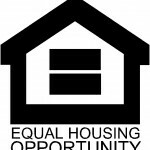 Also in 1994 the board, with much assistance from Fred Smith, began a plan to hire an Executive Director for Habitat. Habitat was growing faster than ever and the responsibilities were becoming too great for a volunteer group to follow up all the requests for information on houses and volunteer opportunities. Actually, due to the interest generated in the community, all of the needs for the affiliate were growing rapidly. The Board applied for and received a commitment of grant funds from the Communities Foundation for a part-time interim Executive Director, until the search for a full-time director was completed, as well as a commitment of funds for three years of salary for a full-time director. Boardmember Jana Sisk was elected by the board to fill this interim role and to organize a search committee for a director. In June of 1995, Anne Payne began with Smith County Habitat as the affiliate’s first Executive Director. Since its beginning in Smith County in 1989 and as of March of 2013, Habitat has built and closed on 97 homes. Of these 97 homes, only four have faced foreclosure and three families have sold their home to buy larger homes to fit their expanding families. Jack Wilson joined Smith County Habitat in January of 2008 as Chief Executive Officer. 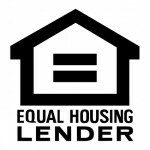 Under his leadership, Habitat has continued to build homes during tough economic times, with a total of 20 homes built and closed on between 2008 and the end of December 2012. Jack has also led Smith County Habitat to begin ReHabitat, a critical repair program that makes the homes of low-income seniors, disabled individuals, and veterans safe and accessible while restoring dignity to the homeowners. Since its inception in October 2009, ReHabitat has completed over 350 projects, averaging 2 projects every week. To date, Smith County Habitat has built and closed on over 100 homes.